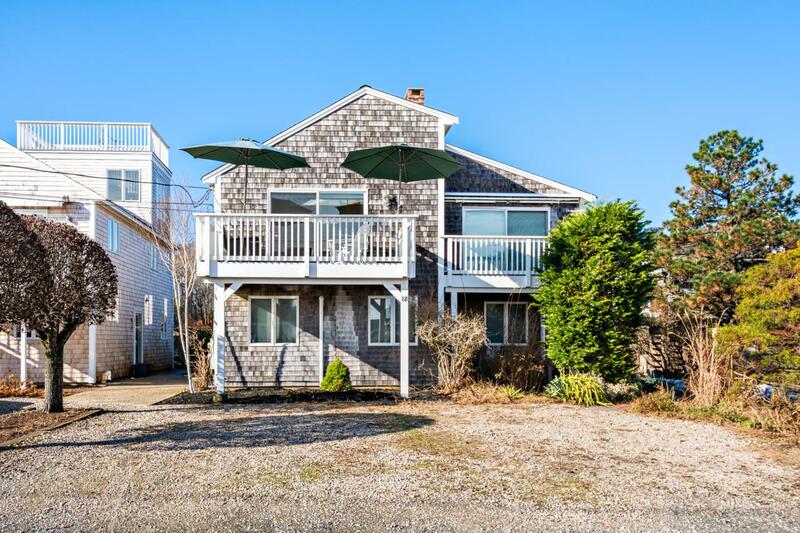 Located in the desirable West End of Provincetown and built with an upside-down floor plan to maximize its water views, you will find this delightful 2 bedroom with loft, 1.5 bath townhouse style condominium. 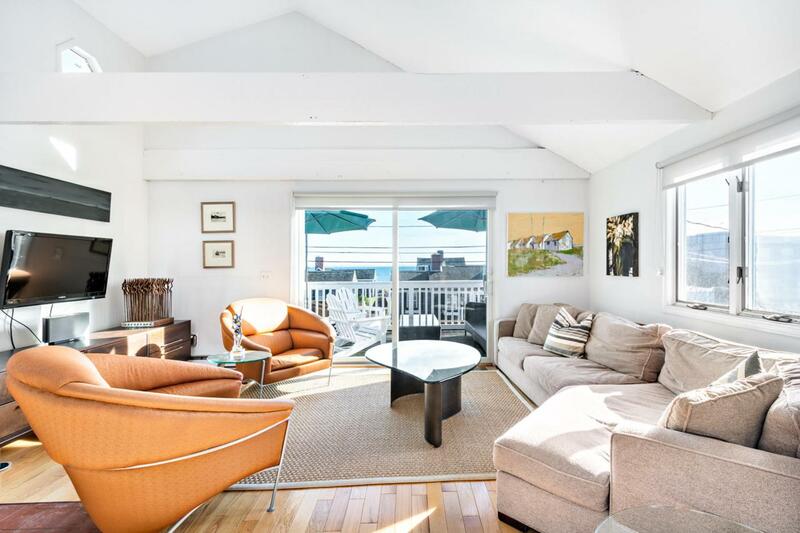 The top floor has a large, open living space with cathedral ceilings, hardwood floors and a wood stove. 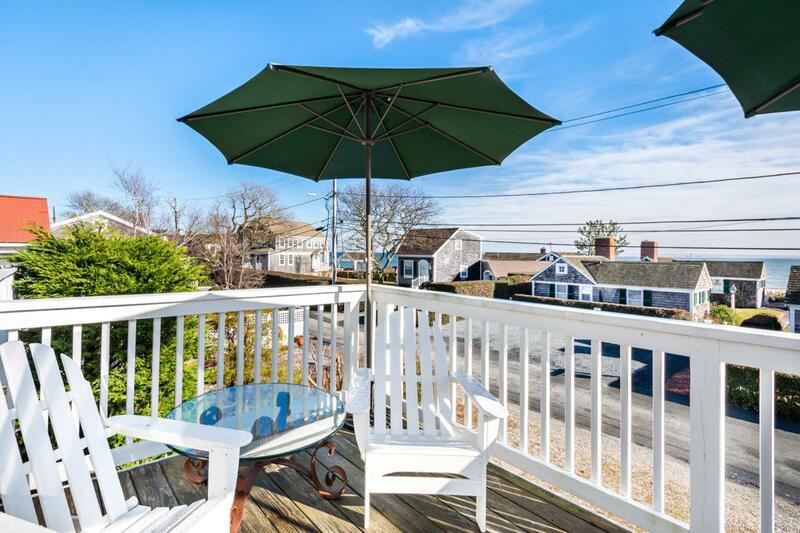 Off the living room is an amply sized, south-facing deck with views of Provincetown Harbor. There is a 1/2 bath on this level and there is an additional deck off the back of the unit offering views of the gardens. The first floor offers two bedrooms, both carpeted, and a full bath. 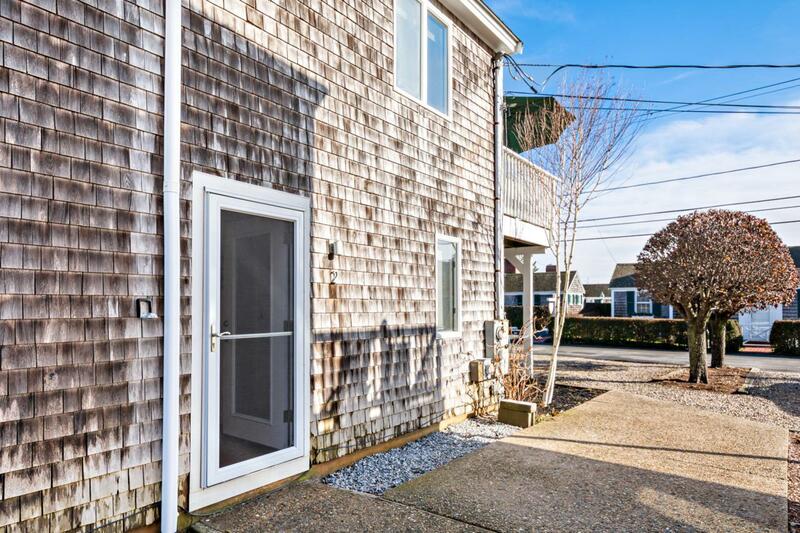 Other amenities include WD, split AC's a large, common, fenced in yard with a storage shed, 2 car parking and deeded beach access.